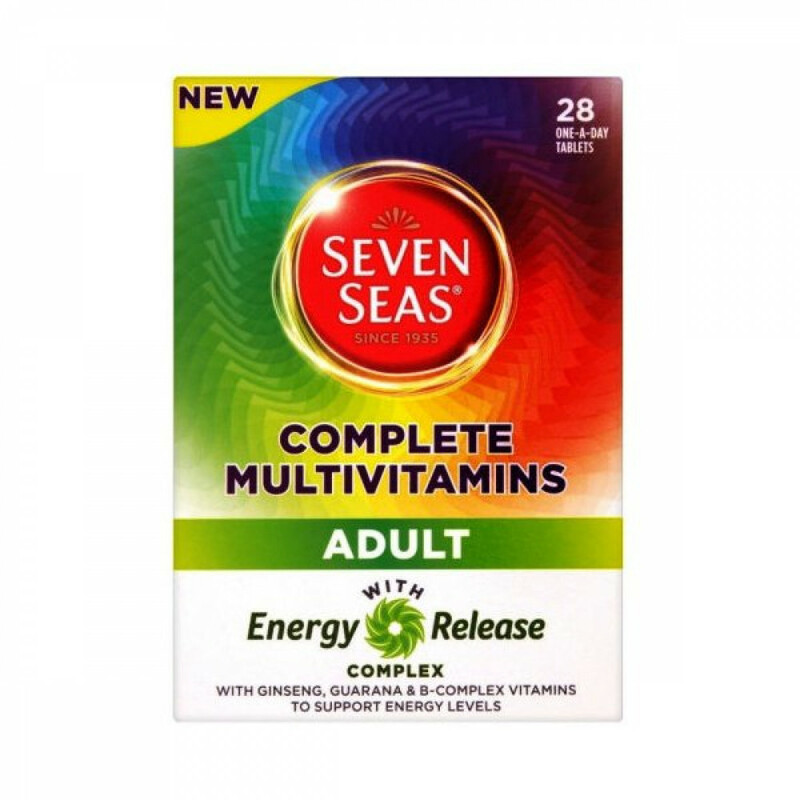 Seven Seas Multivitamins For Adults contains essential vitamins and minerals that help maintain good health, vigour and general well-being. Always read all instructions and product details carefully before use. Do not use in case you are allergic to any of the excipients. Discontinue use and consult your physician in case of any adverse reactions due to overdosing. The tablets are intended for use in adults and children above the age of twelve years. The standard dose is one tablet to be taken daily along with any cold beverage or water. 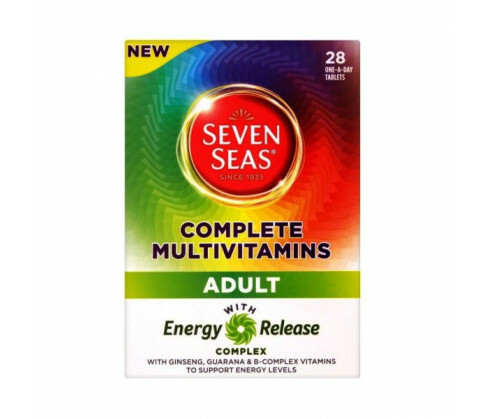 Seven Seas Multivitamins For Adults contains Magnesium Hydroxide Prep. (Starch, Magnesium Hydroxide), Dicalcium Phosphate, Microcrystalline Cellulose, Vitamin C Prep. (Hydroxypropylmethyl Cellulose, Ascorbic Acid,) Vitamin E Prep. ( Gelatine, Vitamin E, Silicon Dioxide), Tablet Coat (Hydroxypropyl Cellulose, Hydroxypropylmethyl Cellulose,), Colours: Iron Oxides; Titanium Dioxide, Triglycerides Of Fatty Acids), Niacinamide, Ferrous Fumarate, Silicon Dioxide, Inositol, Stearic Acid, Vitamin A Prep. (Maize Starch, Sucrose, Acacia Gum, Vitamin A Acetate, Silicon Dioxide, Dl Alpha Tocopherol), Cross Linked Sodium Carboxyl Methyl Cellulose, Calcium Pantothenate, Manganese Sulphate, Magnesium Stearate, Zinc Oxide, Guarana Extract (Maltodextrin, Guarana Seed Extract), Vitamin D Prep(Acacia, Sucrose, Corn Starch, Fractionated Vegetable Oil, Dl Alpha Tocopherol, Vitamin D), Vitamin B2, Vitamin B6, Ginseng Extract(Maltodextrin, Ginseng Extract), Vitamin B1 Prep. (Mononitrate, Thiamain, Methylcellulose), Vitamin K Prep(Vitamin K, Acacia Gum, Sucrose), Copper Sulphate, Picolinate, Chromium, Folic Acid, Sodium Selenite, Potassium Iodide, Sodium Molibdate, Vitamin B12 and Biotin.